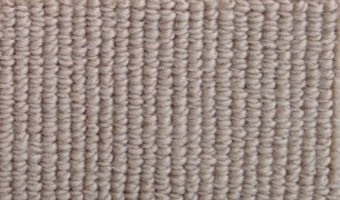 We searched to find the best value wool carpets where quality meets the price. We call these our Best Baas. We hope you will to. We offer any carpet from these Carpet Manufacturers. We didn’t start out selling wool carpet. As owners of a design firm specializing in buildings that harmonize with nature, wool carpet was our top choice for floor covering due to its sustainable, nontoxic, non-allergenic qualities. Yet typically when it came time to cover the floors at the end of a building project, our clients would find they couldn’t afford the high price of wool. So we scouted around and figured out a way to provide them with first-quality wool carpet in the color, size and pattern they wanted—but at prices competitive with nylon synthetics. This proved to be so popular with our clients that we thought, Why not make fine wool carpet available to everyone at discounted prices? Ten years after launching the website, we still get a thrill from finding the right carpet for a buyer’s taste and budget. Whether it’s a particular shade of orange you need to match, an odd hexagonal entryway you need to carpet, or a tiny budget you need to stick to, we love finding just the right carpet for your needs. In fact, we consider ourselves to be more of a service than a store. To us, it’s not about selling carpet, it’s about fulfilling dreams. We’re all about providing the softest, least toxic surface for a baby to scoot across, for a family to gather on, for a couple to grow old with. And when we sell wool carpet for a school, church or office building, we feel proud that our economical prices make it possible for large numbers of people to enjoy cleaner indoor air quality and contribute to a greener planet. We enjoy eco-friendly wool carpet in our own homes, and we’d love to bring the luxury and natural beauty of wool to your home or office too.